Ever wondered what your life would be if you are a Billionaire? Play Amatic new release - Billyonaire.Set as a luxurious mockup of the rich life, you will enjoy playing this slot. 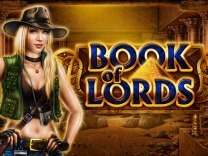 Set in the 60's, players have to manoeuvre through the game as they spin the reels for huge payouts. Billyonaire is a 5-reel, 4-row and 40 payline slot with substituting wilds, scatter symbols and tons of free spins.So get ready to discover the rich life of a billionaire through this slot. Even though Amatic does not provide a fancy background for the slot, you can still expect to have fun when playing this slot. The graphics are basic and reflect a past age, but if you had billions, would you invest in today's ordinary products or go for the antiques? This is what is portrayed in this slot - a life full of luxury. The main character seems to be a gambler as these are the symbols you will find on the reels. The addition of wilds and scatter pays add fluidity to the game as players will be eager to win the maximum payout from this slot. 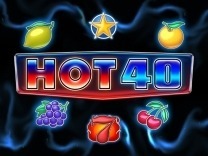 In short, the visuals are fine, the graphics will not hinder you from playing this slot, plus you can play this game on different devices such as a mobile device or your desktop computer.If you are looking for a game which offers regular pays, then this is the slot to choose as it is a low to medium variance slot. It is recommended for all players whether they are veterans or novices. like most Amatic slots, you will find that there are different characters fitting the theme of the slot incorporated into this slot. these symbols include a 60's car, playing cards, cigar, a bottle of whiskey, a wad of cash, a lady a cap and a poster of Billy. these are the high and low paying symbols in the slot. The highest amount which can be paid with this slot is 10,000 credits for matching 5 of the car symbols, while the lowest amount is 50 credits for matching 3 of the cup symbols.Before you can begin playing this slot, you have to understand the gameplay. You will be required to set a wager using the bet button located at the bottom of the slot. 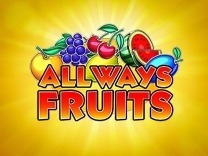 You will be allowed a line wager of between 1 and 25 for the number of paylines you have chosen to activate. There is also an autostart function which allows players to play the slot without manually spinning the slot. In Billyonaire, you will find 40 paylines which will give you multiple chances to make winning combinations with each spin. You have to match at least 3 symbols on an active payline to receive a payout. The payline pays from the left side to the right of the slot.Watch out for the scatter symbol which is represented by Billy as this is the best symbol in the slot. Matching 5 of these characters awards you 100,000 credits. 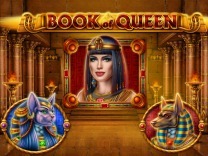 Amatic has ensured that players can have fun while playing this slot by incorporating various bonus features into the slot. The bonuses include; scatter symbols, wilds and the 7 spins. The wild symbol will substitute all other symbols in the slot except the scatter symbol. The scatter, on the other hand, will offer pays if matched 3 or more times. The highest amount which can be earned by the scatter symbol is 100,000 credits for matching 5 of these symbols.Landing 3 or more Billy symbols will pay. This symbol will pay regardless of the position it has landed. Finally, there is the 7 bonus spins. This feature is activated whenever you land 3 or more Billy symbols on any position. This feature is played on the same number of bet lines and wager. At the beginning of this feature, there is an extra wild symbol which is activated randomly and will substitute all other symbols except Billy. You will be required to play the bonus spins until there are no bonus spins left. This feature can be retriggered while still playing it.